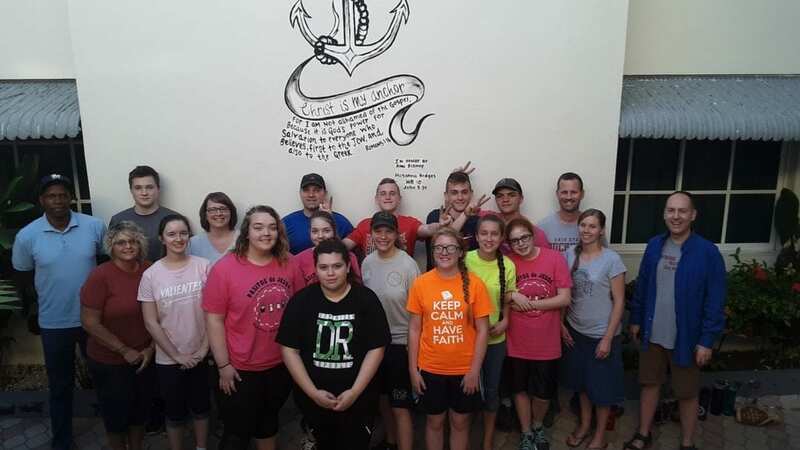 From February 28 through March 7, Sheldon and Gina Sutton led a team of twelve students on a missionary trip to the town of Juan Dolio in the Dominican Republic. Ten of those twelve students were from the Fountain City Christian School in Bryan. 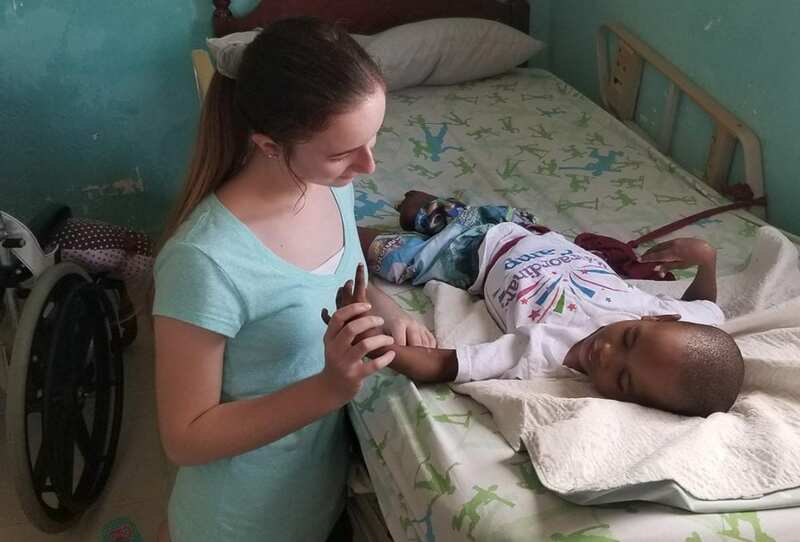 INTERACTING WITH THE CHILDREN … FCCS Freshman Kenzie Eitniear spends precious moments with a child at the special needs orphanage, Casa de Luz. 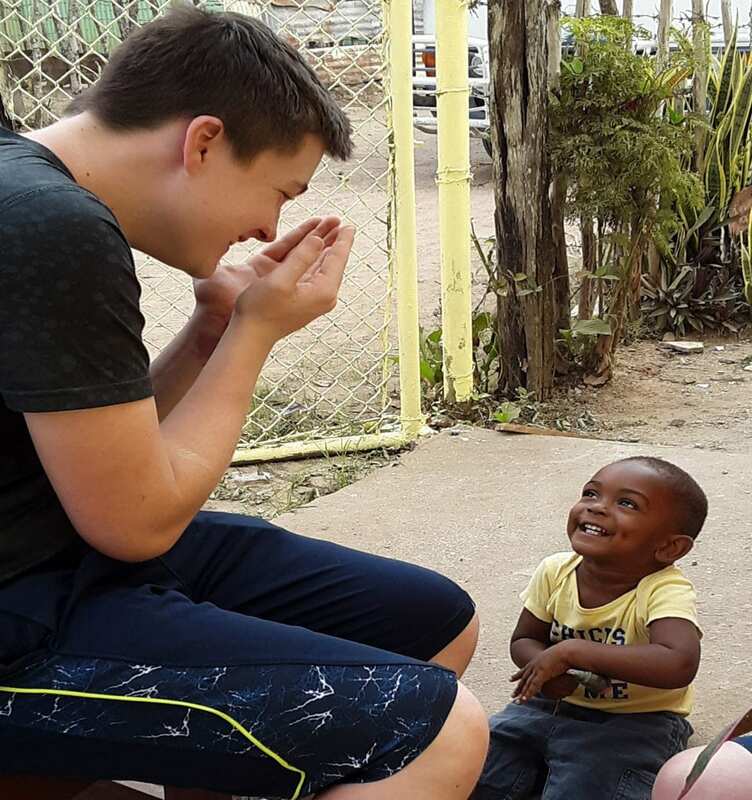 TAKING A BREAK … Sophomore Daniel Cantu takes a break from working to spend some time playing peek-a-boo with a local Dominican boy. © 2019, Tim Kays. All rights reserved. Be the first to comment on "Mission Trip To The Dominican Republic Gives Local Students New, Higher Insights"